Any season in Carpathians will be interesting and useful for those who treat green tourism and wonderful mountain nature. In winter you can ski, in summer you can enjoy therapeutic effect of mountain air, listen to birds’ songs, walk on the mountain paths, relish wild berries all day long. Autumn is of course a heyday for mushroom gatherers. And spring decorates mountains and hills with multicolored flowers that boggle your imagination with their beauty. 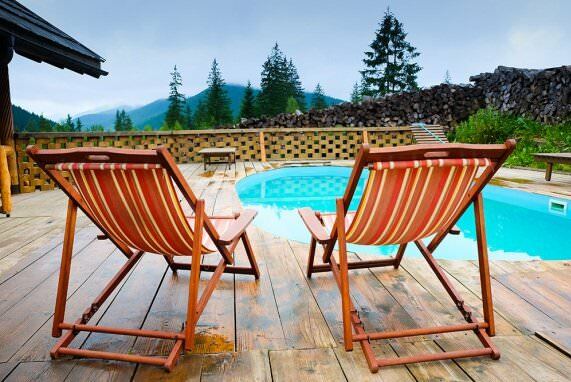 If you decided to spend your free time in Carpathians, stop at hotel-resort “Koruna”. Our hotel is located near ski lifts and tourist routes. It’s a place where the most active, the most interesting and useful rest begins. 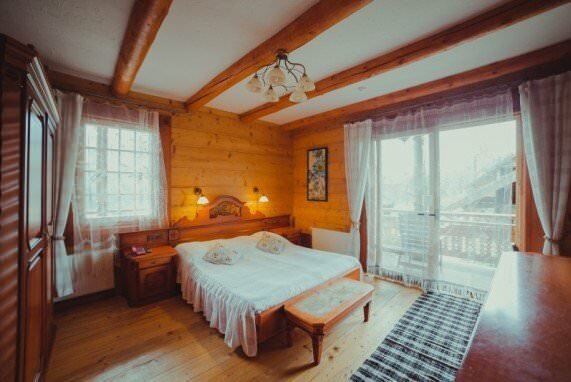 The hotel consists of separate cottages-chalets. You’ll appreciate spacious light rooms, the design of which joins ancient traditions and modern comfort. 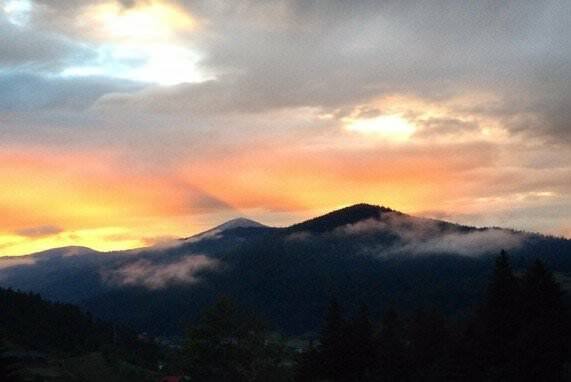 Here you will see live fire burning in the fireplace, comfortable Carpathian interior will make you feel some mysterious ancient beauty and warmth that fills this land, these mountains and hearts of those remarkable hospitable people. Together with modern high-quality service “Koruna” includes a lot of ethnographic elements. 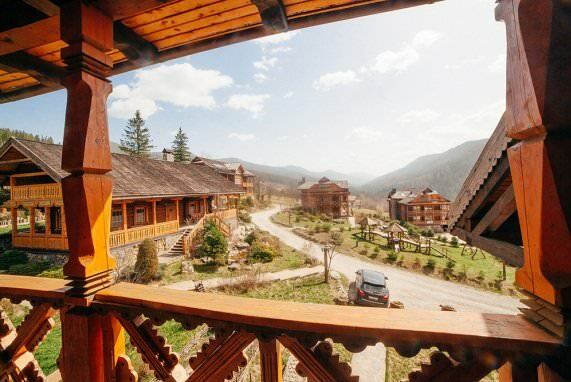 Ancient authentic Hutsul houses were carried to the territory of hotel. The wood, which they are built of, is around hundred years old. In one house ethnographic museum is organized. Hotel “Koruna” harmonizes with picturesque mountain landscape. Here you can fully plunge into the beauty of Carpathian nature, feel national zest of this unique land, experience the taste of its ancient history and traditions. “Koruna” is a universal complex for rest and business: it is equipped with modern conference-hall that can place up to 150 people. 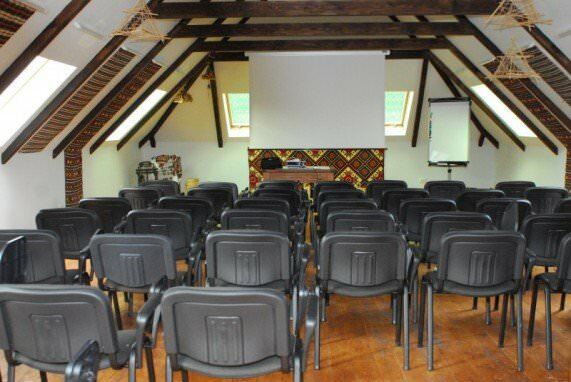 Here you can organize a meeting, seminar, training, or presentation. For business talks you can use small conference-hall for 45 persons. Modern equipment – projector, flip chart, screen, audio facilities, Wi-Fi – is to your service. We give special attention to recreational component of your rest, that’s why “Koruna is called hotel-resort. Here you will find perfect natural therapeutic possibilities, specific conditions and modern equipment for healthy rest and recreation. Welcome to “Koruna”! Visiting us once, you will never choose another hotel.